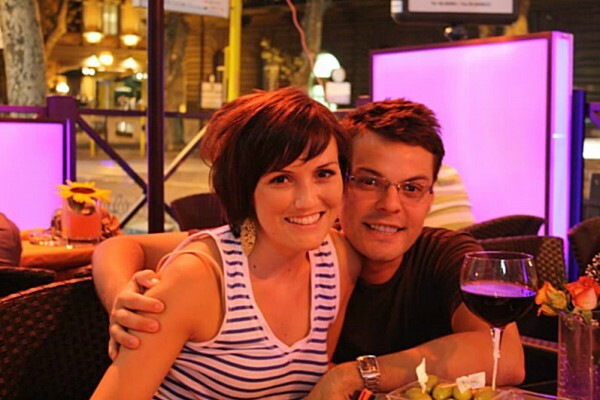 Mine and Brad’s honeymoon, like all honeymoons, was a time to celebrate our love. 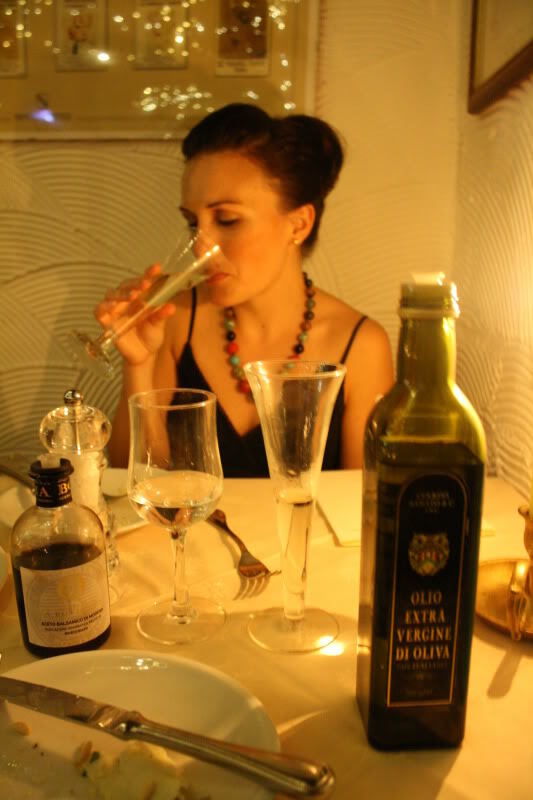 But being in such a gorgeous place like Italy, meant we got to celebrate other loves as well. Besides wine, we also got to celebrate our love of beautiful art, breathtaking landscapes, hiking, experiencing a new culture, and maybe most importantly (after love and marriage) really delicious food. This piece of pizza — the one on the left– was where this love affair started. No, not my love affair with Brad, silly. My love affair with pesto. It was a rainy day in Manarola, Cinque Terre, Italy. Since our plans to go hiking had been delayed by the rain, we decided to venture down the main cobble stone street and into the little village. After the short five minute walk towards the marina, Brad suggested that we have lunch. There weren’t many restaurants to choose from. Maybe five in all. Manarola, like all of the towns in Cinque Terre are teeny tiny little fairy tale fishing villages. What they lack in population and restaurant choices, they more than make up for in breathtaking views and charm. 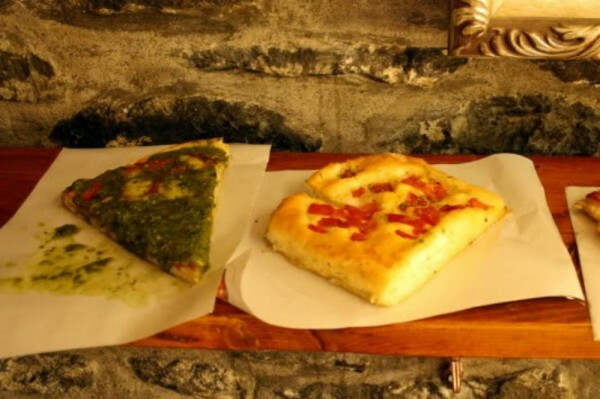 After looking over two small cafes, we ventured into the smallest choice — a tiny pizzaria in the underground belly of a larger business. We ordered four pieces of pizza to share. One of which was a slice of cheese pizza, slathered in pesto. Oh my. That pizza was a game changer. Well, let’s add one more to the list. First start off by chopping up your onion, garlic, and carrot. Saute the onions and garlic are starting to brown. Don’t get ahead of yourself. It’s not time for basil yet. Add them to a pot of stock, that you’ve been warming over the stove top. Add your beans. Now, you may add your basil and some salt. Cook the soup for about 30 minutes. Leave as is or whip out your immersion blender and blend the soup to creamy perfection. 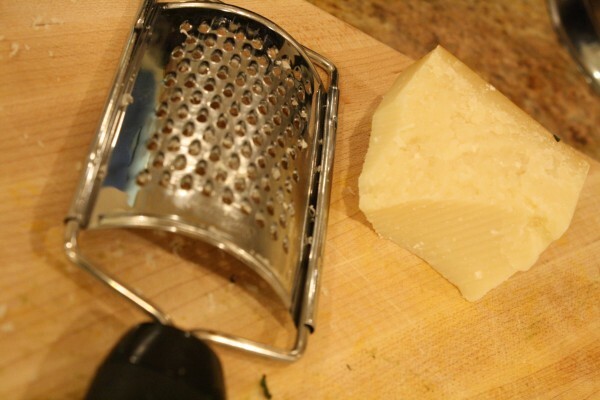 Spoon into bowls, add some walnuts and a bit more basil, then cover the top in flaky salt snow of Parmesan Reggiano. 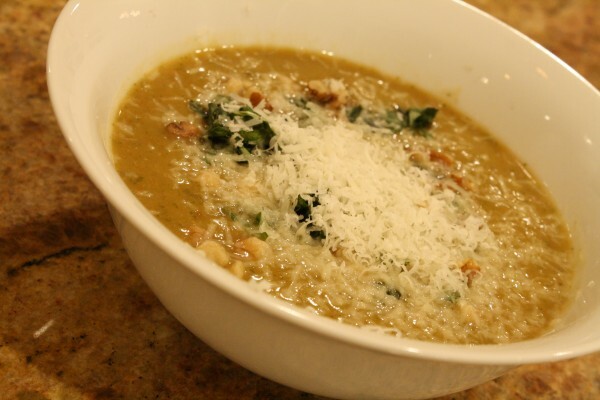 Creamy, hearty, with the delicious aroma of basil, this soup will warm you up and comfort your soul. 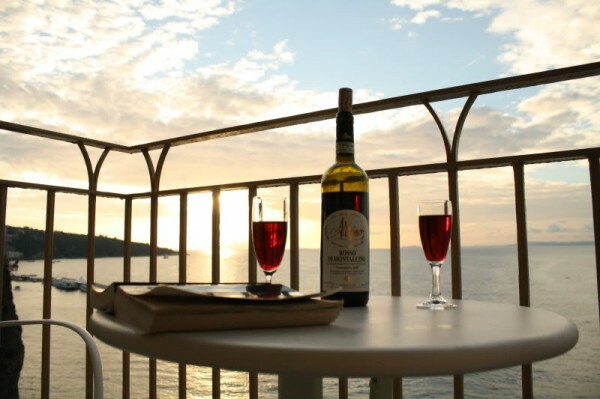 It won’t whisk you away to Italy, but it will get you close. Heat olive oil in a pan or skillet on medium high heat. Add onion and garlic. Cook for about five minutes, stirring occasionally, until garlic and onion soften. Add carrots, lower heat to medium, and cook an additional 3-5 minutes or until onion and garlic begin to brown. 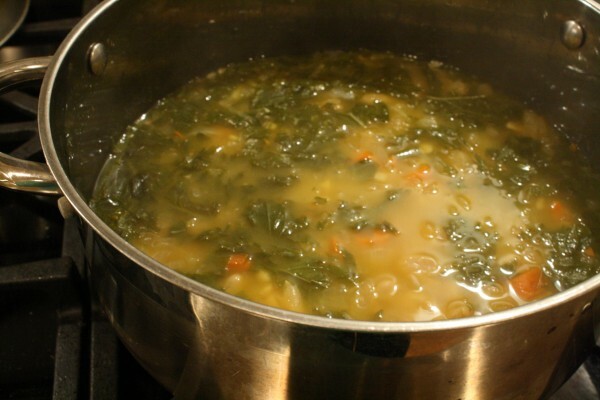 Bring stock to a simmer in a large pot on high heat. Add vegetables to the stock and lower heat to medium high. Add beans and salt. Chop three cups of the basil and add to pot. Reserve one cup of the basil and set to the side. Allow soup to simmer for at least 30 minutes. Serve as is, or blend with an immersion blender, regular blender, or food processor. Spoon into bowls. 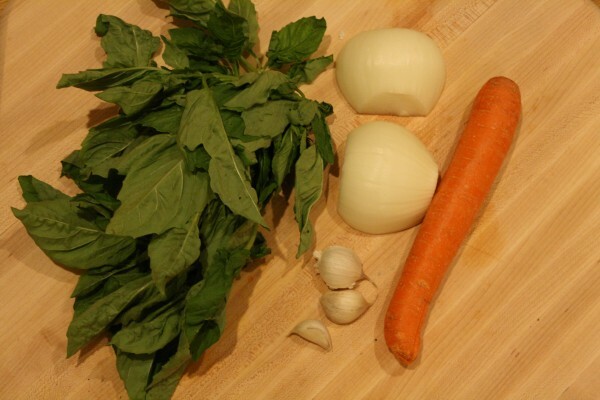 While soup cools, chiffonade the remaining cup of basil. 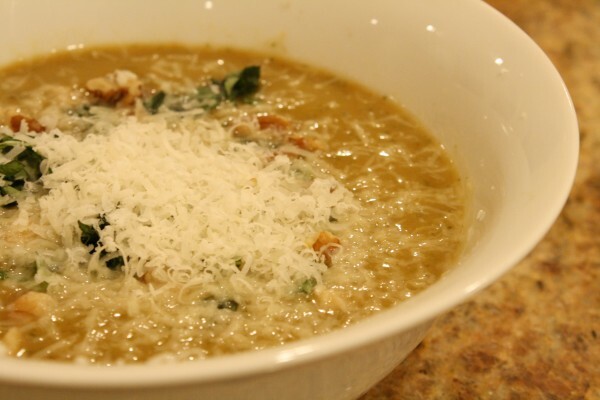 Top each bowl of soup with 1 Tablespoon walnuts, 1/4 of the remaining basil, and 2 Tablespoons Parmesan Reggiano. *Can substitute with pine nuts, if you are made of money. I use walnuts rather than pay $7.99 for 3 Tablespoons of pine nuts. 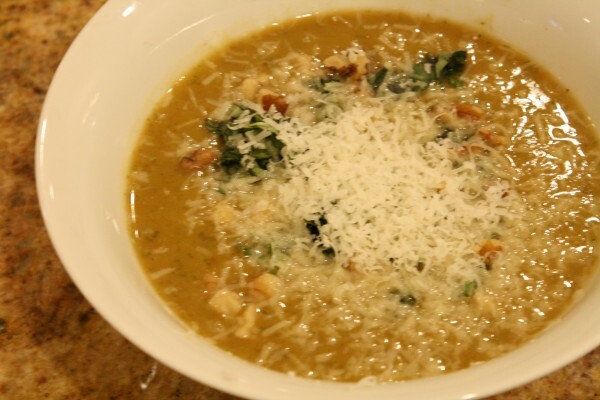 It’s not quite pesto pizza, but my oh my, this soup hits the spot. It speaks to my Italy-loving heart and I hope it speaks to yours. 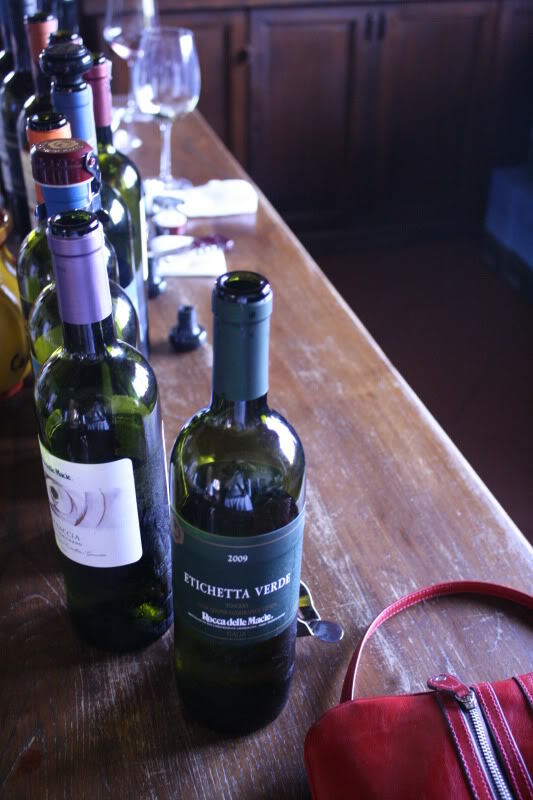 May I suggest a nice wine from Montalpulciano or Montalcino? 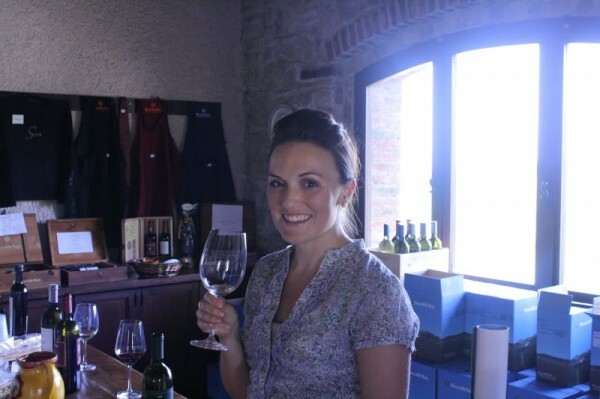 Or maybe one of the Cinque Terre blends? But what do I know? 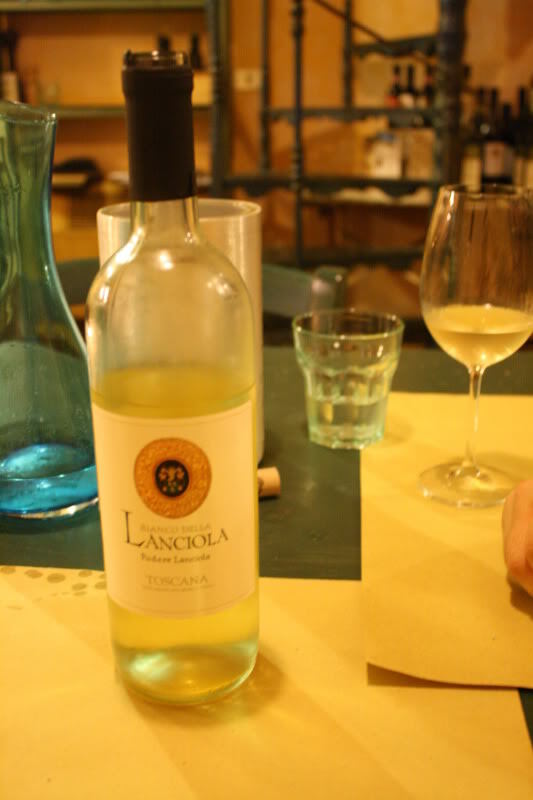 I just sipped and tasted my way through most of Italy. Great post!! I love your honeymoon pics and I have to say I love the black dress with the multi-colored necklace!! Aw, thanks! I got the dress for less than $20 at Marshalls years ago and haggled for the necklace from a street vendor in San Francisco. Oh, I have a bunch of basil that I need to use before it goes bad. I’m going to make this. Yum! Thick and hearty- perfect for a cold winter night! Aw, I love all the photos! Believe it or not- I’ve never had pesto. You’ve got to change that ASAP! 🙂 It’s amazing. I am such a huge pesto fan! I’m definitely making this soup! Thanks! Hope you like how it turns out! 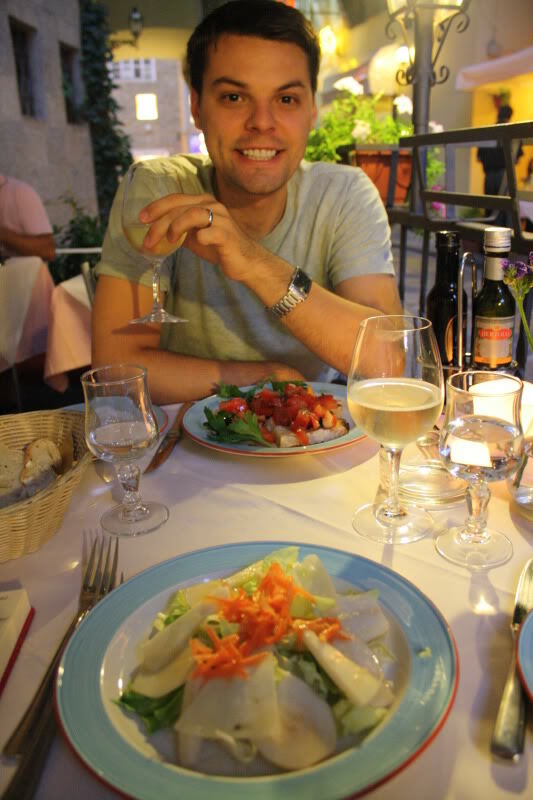 My husband and I honeymoond in Italy too! Food and wine was amazing! Thanks for the soup recipe, I’ll try that one next week! Isn’t it the most wonderful place? I’m not very well traveled so I’m pretty impressed with anything different than the U.S. This soup is so good! 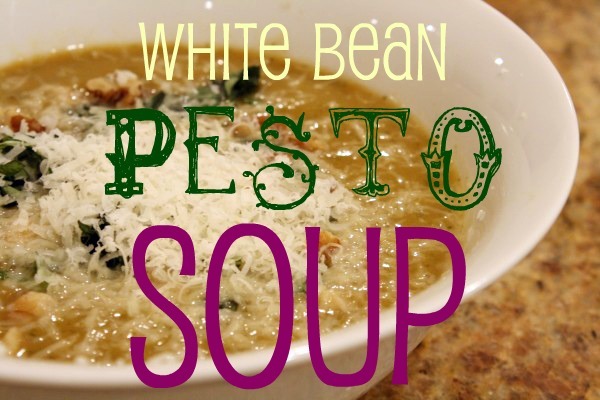 I just made it this afternoon and it’s a perfect soup for a cold day. Thanks for the recipe! I have pre-made pesto in my freezer, how much of that do you think I would need to sub for the pesto ingredients in your recipe? Can’t wait to make this!